Hi there! My name’s Kathleen Morris and I’m a primary school teacher in Geelong, Victoria, Australia. In my 5th year of teaching in 2008 I discovered educational blogging. I started a teacher blog on the Edublogs CampusPress platform, Global2. I then set up a class blog and later, individual student blogs. After discovering the enormous number of benefits of educational blogging, I developed a passion for sharing my practice with others. While exploring blogging, I became particularly interested in global collaboration. I’ve had so many priceless experiences connecting and collaborating with teachers and students from all corners of the globe. Another passion I’ve developed is digital citizenship and teaching students how to research online. I believe these are both foundational skills for learning and life. In 2012, I was honoured to win the Department of Education Outstanding Primary Teacher of the Year Award. This award allowed me to present at the world’s largest educational technology conference, ISTE. This experience, and particularly presenting with California teacher, Linda Yollis, was certainly a career highlight. I currently teach part-time/casually and am a mum to two young children. I am also excited to be working with Edublogs to help teachers and students on their own blogging journeys. 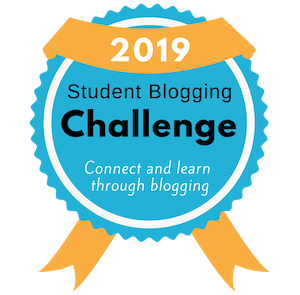 Part of this role is leading the Student Blogging Challenge and writing weekly posts on The Edublogger. 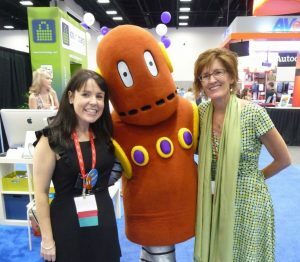 When I first began this blog, it was a means of sharing what I was learning about technology integration with other educators. The blog has evolved since then. After seeing what a big impact meaningful technology integration has had in my own classroom, I’m on a mission to help teachers do the same. I love helping teachers realise they can unleash the benefits of technology integration without advanced tech skills or specialised training. I like breaking down big ideas or topics, and this also helps me refine my own thinking and understanding. I began teaching in 2004 after graduating from Deakin University with a Bachelor of Teaching (Primary) and Bachelor of Arts (Indonesian). I’ve enjoyed presenting at many conferences, schools, and webinars across Victoria and beyond. I’ve also given guest lectures at Deakin University and taught an undergraduate subject. I’m a busy mum of two young children and enjoy keeping fit, reading, cooking, podcasts, and finding new ways to keep my life super organised! (Want to hear some of my top productivity tips? Check this post!). I consider myself a lifelong learner and enjoy throwing myself into topics I’m passionate about. Are you an educator who likes practical resources and advice about topics such as digital citizenship, information literacy, blogging, global collaboration, and ed tech? From 2010-2013 I produced an e-newsletter with Simon Collier and Matt Limb called Tech Tools for Teachers. Each fortnight we reviewed a free online tool and provided step-by-step instructions on how to use it. Our website was www.teachgennow.com.au Matt, Simon and I also ran a number of successful conferences for educators called Technify Your Teaching. In 2013 we took a break from this venture to focus on family life. Good on you Kathleen for having a go and introducing interesting uses of technology to assist with the learning for your Primary School students. Thanks for including my blog in your blogroll. I’m honoured! Thanks Jenny, I do enjoy reading your blog! Always some interesting topics! What a fantastic blog! I’m a teacher at Camperdown College, and we are just getting started with blogging. I seem to constantly have questions that start out with “How do I…”. Thanks to your blog I now have many answers! It has pretty much everything you need to know about blogging! WOW! You are so inspiring! I love your blogs. I have just created a website for our school which includes blogs and wikis. I have had a few questions- which I have found answers to on your blog! Thanks so much. Excellent blog, keep up the great work and I look forward to following your future endeavors. A wonderful blog. Love the way you are using technology with the younger students, very inspiring! I’d like to let you know about Intodit, a free and flexible hosted Wiki service that allows users to drag and drop content, including text, photos, and videos with a focus on ease of use. I think readers of PrimaryTech would be interested in what it can do. Our main goal was to create something that people could use to share information in a flexible and easy way. Most of our users state that they prefer our Wiki service to others because it is user friendlier and provides the best of both a Wiki and a social networking service. If you like to play around just visit http://www.intodit.com or http://example.intodit.com with username test and password test. @Wendie, thanks for your kind words! I’m glad the newsletter and blog are proving useful. Thanks for sharing! My name is Brooke Clark and i am in my fourth year of teaching at the University of Ballarat. Myself and three other girls are in the process of developing a project for a unit called team enterprise. Our project is to develop a booklet for teachers that allows them to effectively incorporate ICT into their classrooms. We have called it ‘Going that Extra Mile: How to incorporate ICT into your classroom’. We want it to be easy to use and something that will give teachers the confidence in using ICT. We have developed a wiki that is based on our project and we would love it if you would like to join and help us in developing our booklet. There really is an endless amount of information that we could be included but obviously we just want to focus on programs that are successful and will encourage teachers to use more ICT. Your feedback would be much appreciated! Thank you for developing this site, being a university student it is fantastic to know that there are real teachers out there who have taken the time to create such websites to help us. I am sure in no time at all we will be hooked too! @ Brooke, thanks for stopping by and I’m glad you’re finding the blog useful! I find educational technology quite addictive and lots of fun…and of course it is such an important part of teaching and learning. I’m very glad to hear your uni is supporting ICT integration! I will happily check out your wiki! We have just started it so there is not much there at the moment, any comment or feedback would be much appreciated. I love reading your blog!! I too am in my 7th year of teaching and have always had a interest in all thing technological. I have just started blogging and your blog has introduced me to some new and exciting things to expose my students to. It has motivated me to try new things and my colleagues are commenting all the time on my enthusiasm for technology. I look forward to reading more about how I can use technology in my classroom. @ Angie, thanks so much for taking the time to leave such a kind comment. I’m always glad to hear that there are people out there who are finding my blog useful! Keep up your excellent work in your classroom! Your blog, both this one and your class blog, have been an inspiration to me. I can certainly understand how addictive it can become! We have recently set up a classroom blog and I am always looking at your blogs for some great ideas so thank you. We have recently started looking at how to comment and your ideas were perfect! You will see lots of your influence! @ Melinda, I’m so glad you’ve found my blogs useful. Blogging certainly is addictive! I look forward to checking out your class blog. Thanks for you comment! I have just stumbled upon your fantastic blog and resource. Thanks for all that info… it will take me a while to get through it. I am a teacher in New Zealand of a Year 7 class of 30 kids and have signed up for your email. The idea is to provide a safe site where students can view interesting and relevant news article. If you could have a look at the resource, suggest any improvements and pass on the link to others that would be fantastic. Congrats on your new ventures. I might also suggest that Twitter is a great way to spread the word about new initiatives if you’re not already using it. Thanks for sharing the art of educational blogging! I wrote to you earlier this year to thank you for your guest post in Free Technology for Teachers this summer. Your guest-post encouraged me that I was on the right track with my work with my pupils and our blogs. It also gave me inspiration to step it up when it comes to using the blog as a tool for developing of literacy. Last week I held a talk to a group of language teachers in a literacy network here in Uppsala, Sweden. 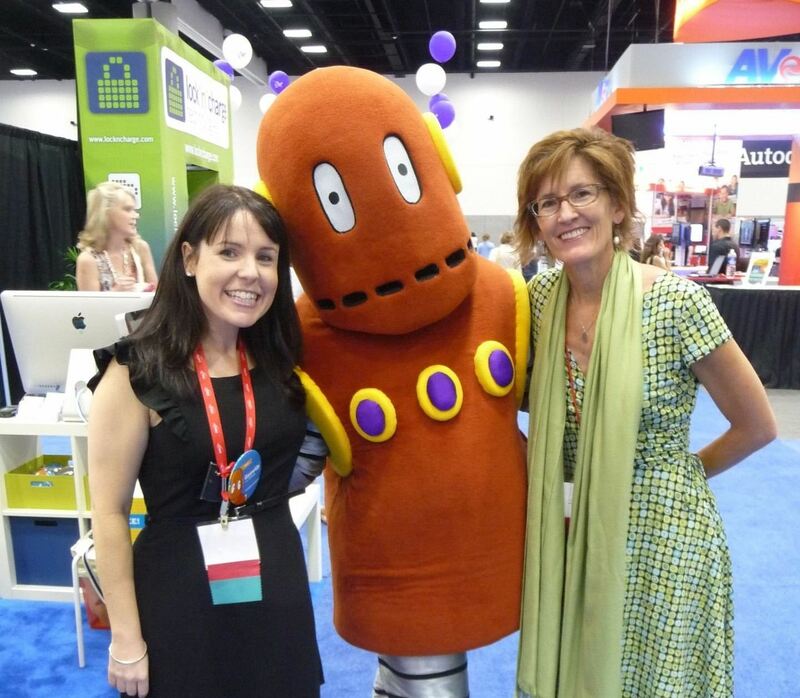 I talked about blogs and literacy. I used my own experience of my work with pupils and blogs and blended it with inspirations from you, Linda Yollis and Silvia Rosenthal Tolisano. It felt really good to be able to inspire and challenge these teachers to use a new tool in the classroom. That is fantastic to hear! Thank you so much for sharing. Linda and Silvia are real role models to me and it’s lovely to hear they also inspired and challenged your colleagues in Sweden. 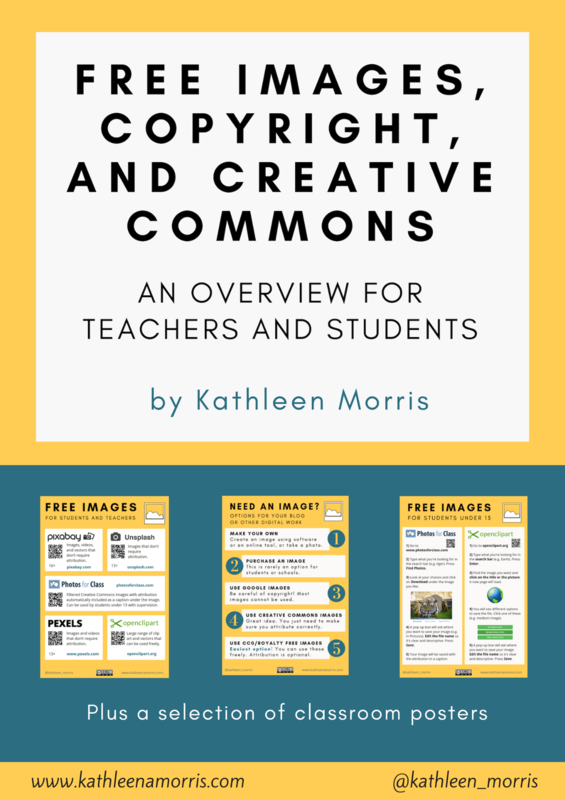 With your permission, I would like to spotlight your blog in a post discussing the value of teacher vision in their integration of technology. Please let me know if this would be ok with you. 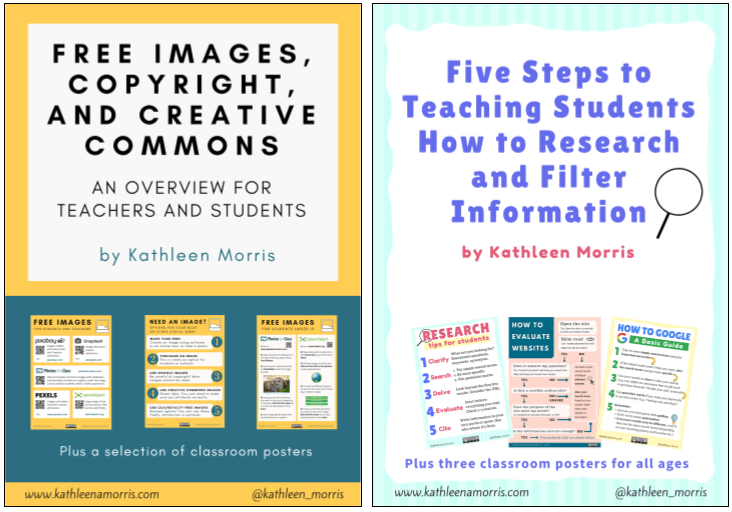 We are all jumping into blogs this year….every class! Some of us have some experience, and we are supporting each other each week as part of our staff meeting. 2 of our staff attended your day in January. We are discussing blogging guidelines and hope that you will give us permission to use yours until we formalise our own. Would that be ok? You do such inspirational work..we love Primary Tech. How fantastic that every class is jumping in to blogging this year! Sounds like you’re at a great school – you’re very lucky. You’re more than welcome to use my class blog guidelines. I just ask that people acknowledge the source and link back. Thanks so much for this awesome collection of resources on blogging. I am in the midst of trying to get our school to do blogs, we are starting small and basic to get the idea but I’ve found some wonderful stuff here thanks to you thanks!